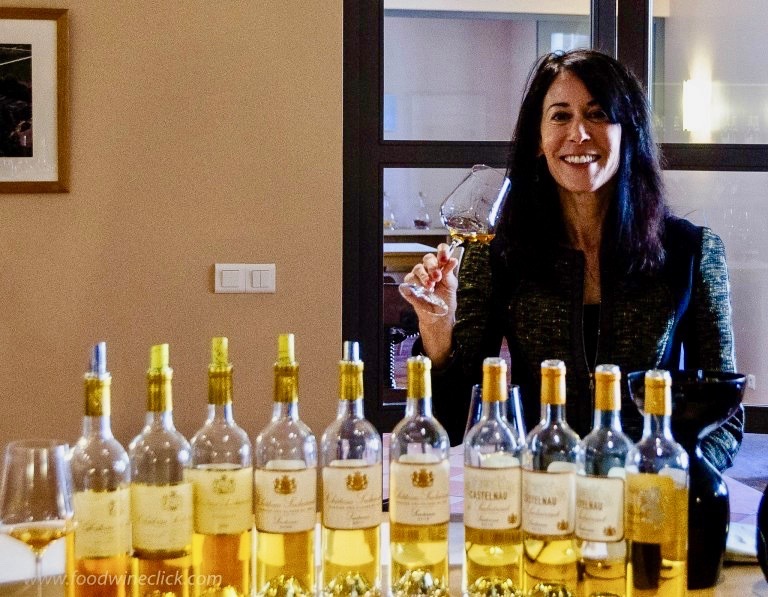 (Video Interview from my last night in Bordeaux, above). 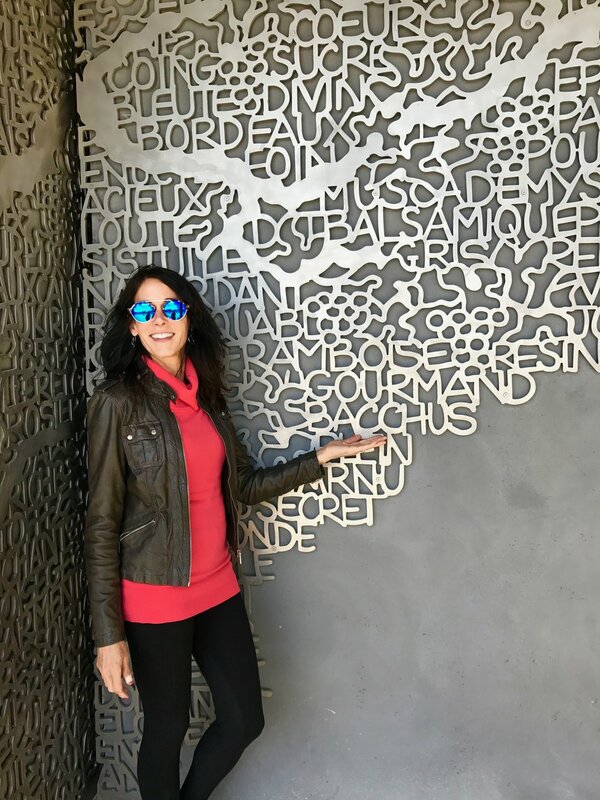 Many thanks again to all of you — subscribers and readers of my blog — who voted for me on Facebook when I was one of 18 finalists for the Millésima Blog Awards earlier this year. 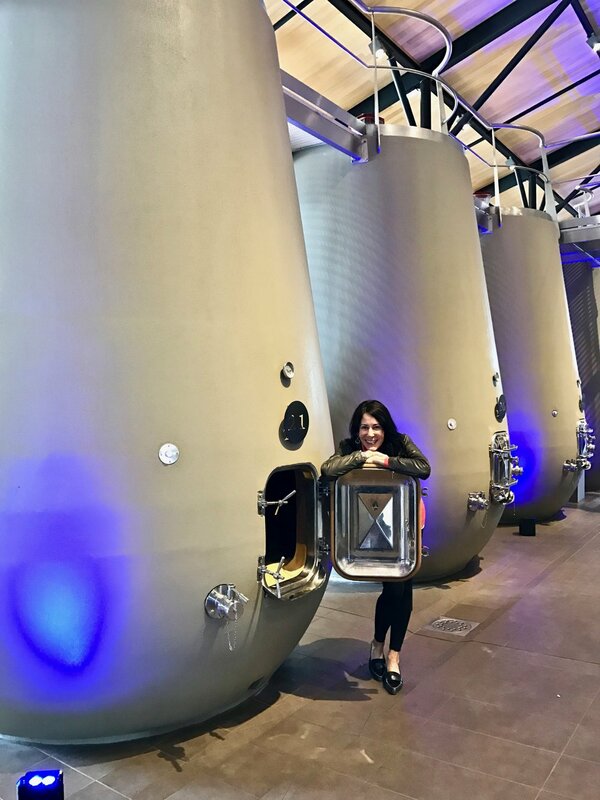 The 2018 edition of the contest is now accepting applications and, if you or someone you know is a wine blogger (or videographer or wine vlogger), my advice is, "go for it"! 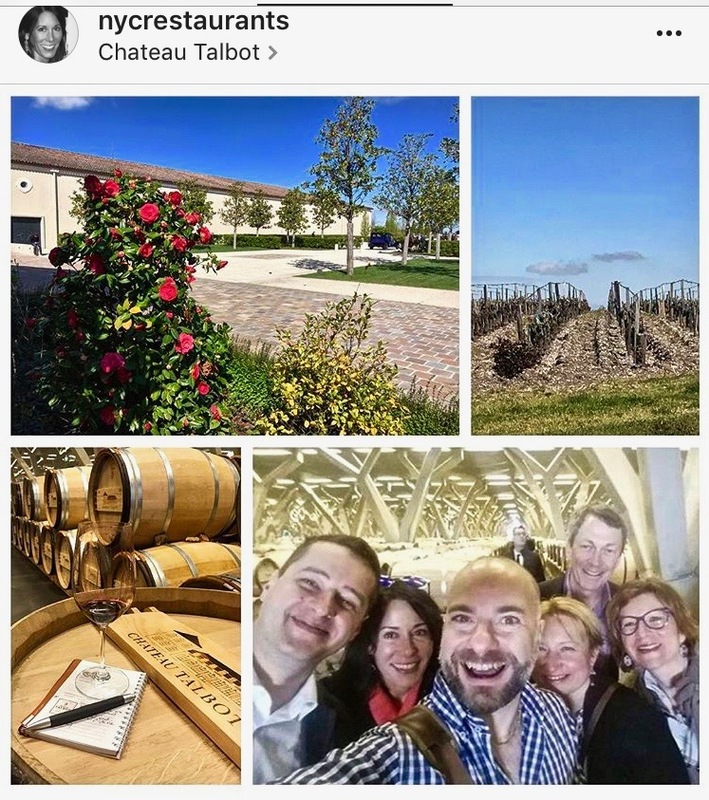 My trip to Bordeaux with five other bloggers was like a fairy tale come true! 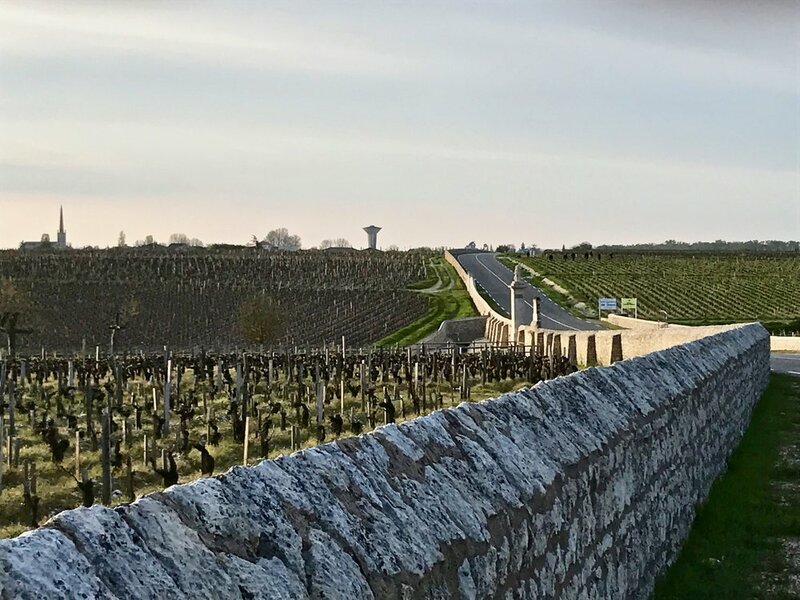 After checking into the InterContinental Bordeaux, a five-star Michelin hotel, our first couple of days included a thorough exploration of the history, culture, food and wine of the city of Bordeaux. 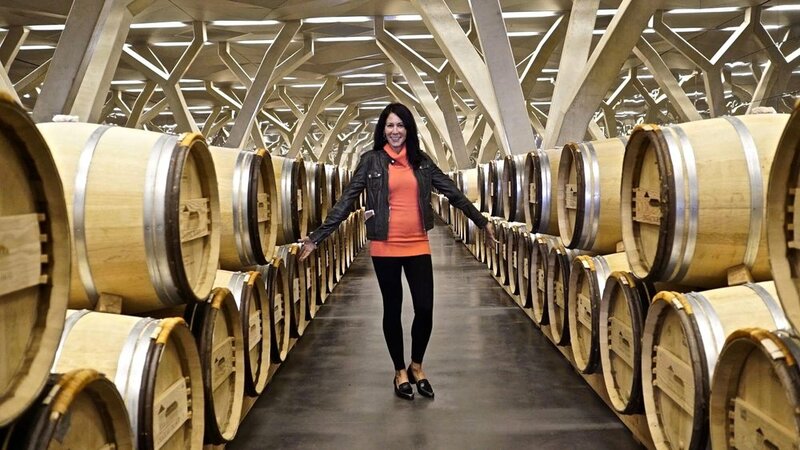 Our last night was spent amongst thousands of impressive wine bottles in the 200 year-old cellars of Millésima — yes, I brought a shawl and a warm sweater! 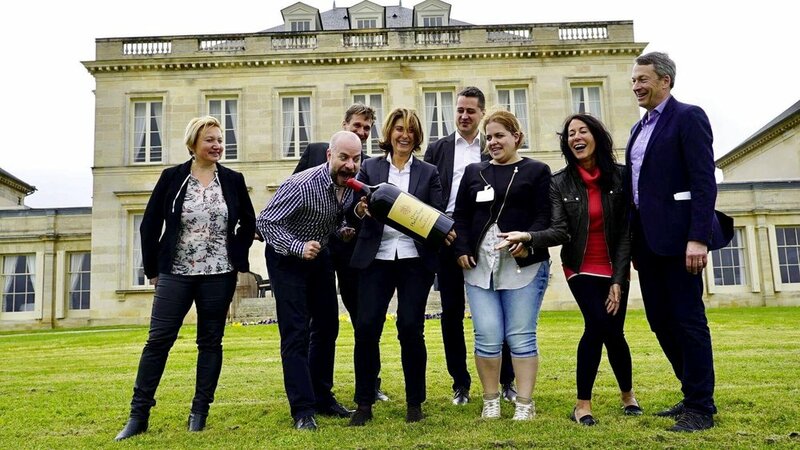 The evening began with a fun (and humbling) blind-tasting game before a Champagne reception and awards ceremony dinner with some more games, an all-around great evening. 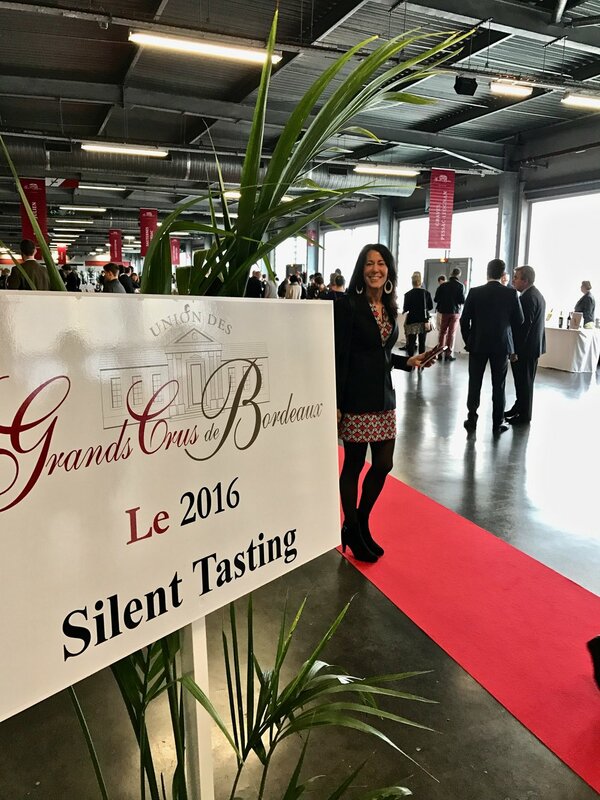 The next day started with a walk-around tasting of the 2016 “en primeur” wines, organized by the Union des Grands Crus de Bordeaux (UGCB). 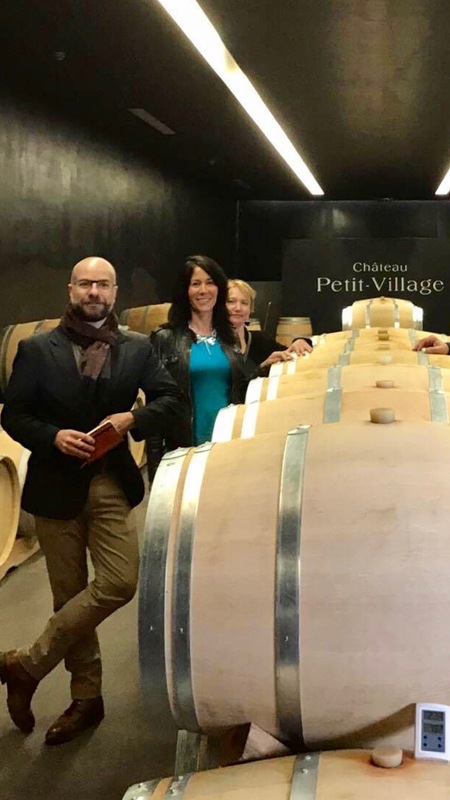 We met several winemakers who were pouring young wines that had just been taken from their barrels that morning. 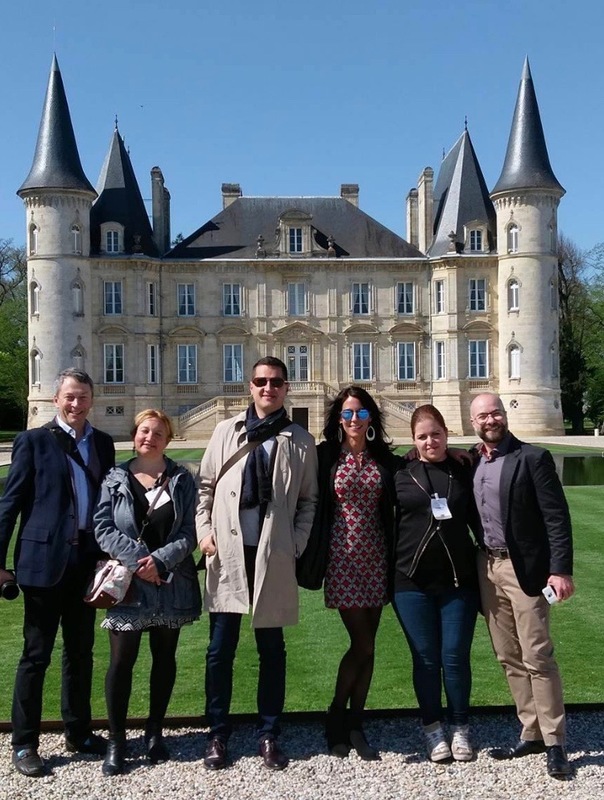 We then headed off on a three-day excursion to the wine region of Médoc during which we were treated to a whirlwind tour of several world-renowned Châteaux — Mouton Rothschild, Margaux, Montrose, Phélan Segur to name a few — tasting some of the best wine (and food) in the world. 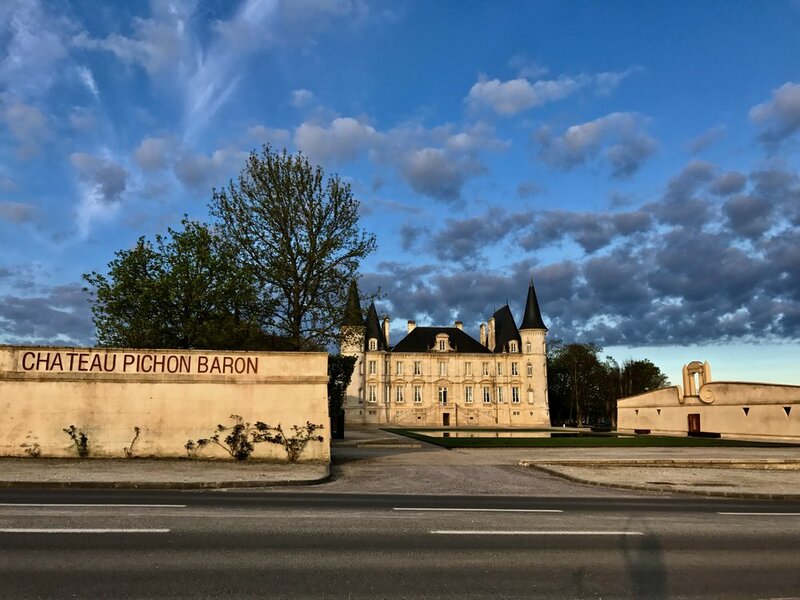 I almost fainted from excitement when I saw the beautiful castle we would be staying in, Pichon Baron. 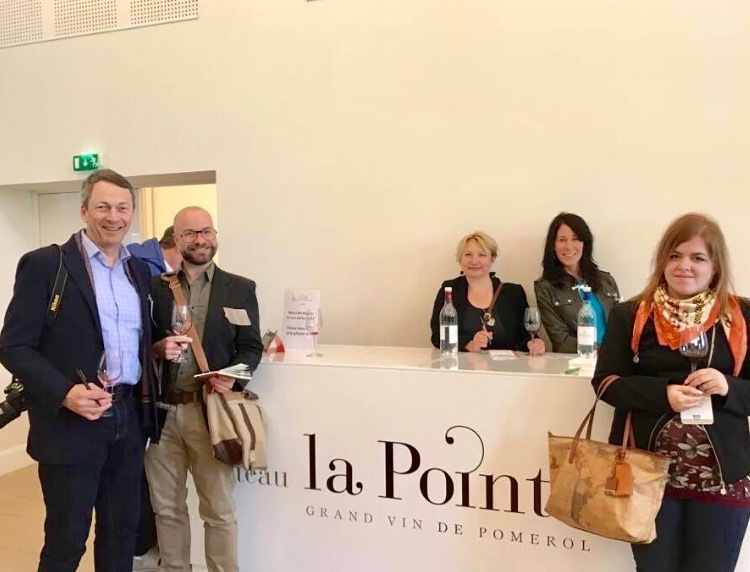 After three busy days in the left bank, we travelled to the famous areas of the right bank, Pomerol and the quaint village of Saint-Émilion, before spending the night in the charming village of Sauternes. 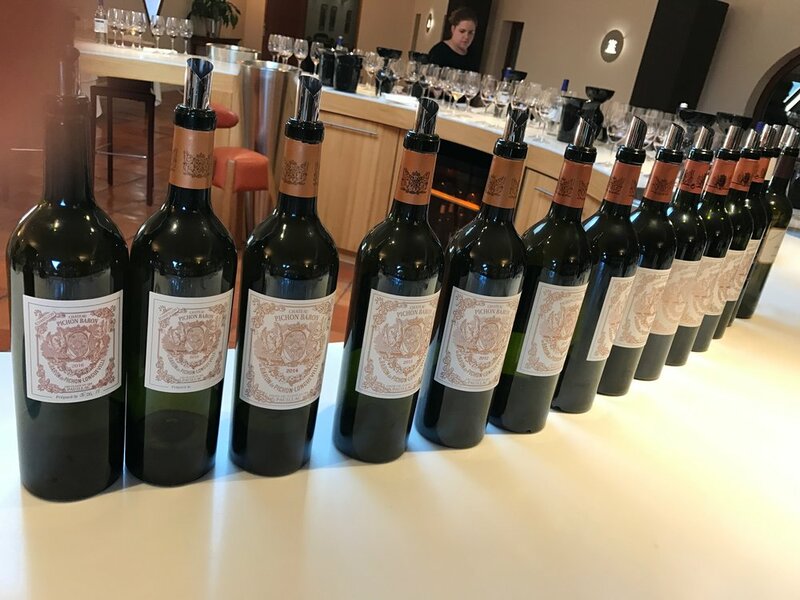 After all, what trip to Bordeaux would be complete without a vertical tasting of Château Suduiraut's exceptional sweet wines with Pierre Montégut, the man who makes them?! 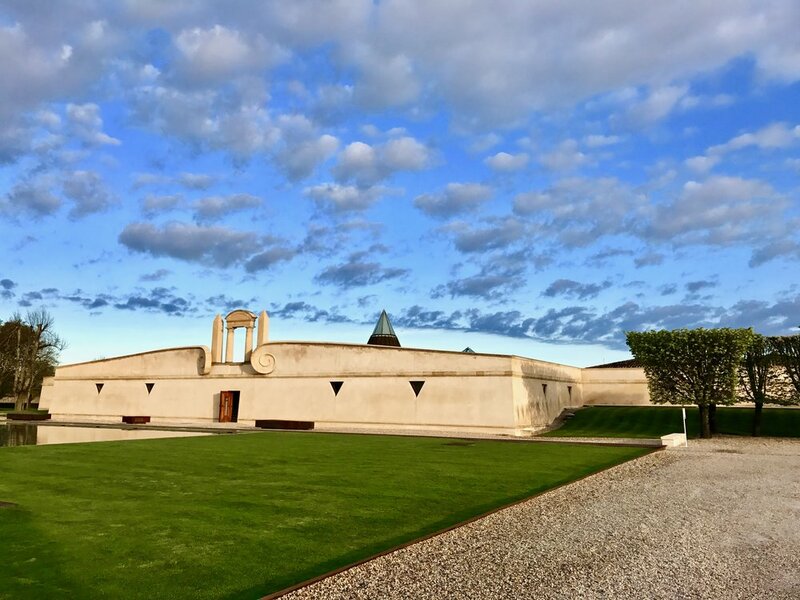 It was back to Château Pichon Baron to meet up with the Millésima and Pichon Baron teams again for a special farewell gala dinner and wine tasting. 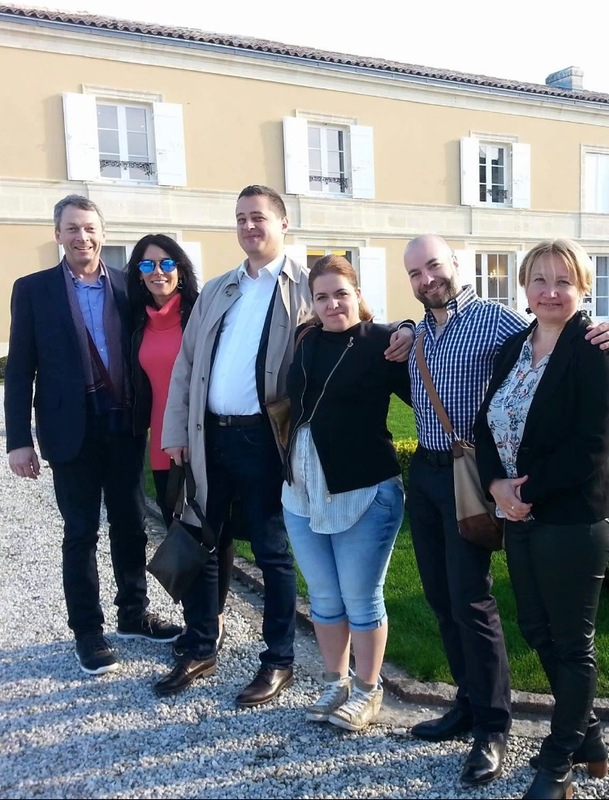 Christian Seely, General Manager of the AXA Millésimes Group, the wine division of the French Insurance company AXA, hosted a memorable wine-tasting and dinner. Everywhere along the way we learned a lot, had fun and made lifelong friends. 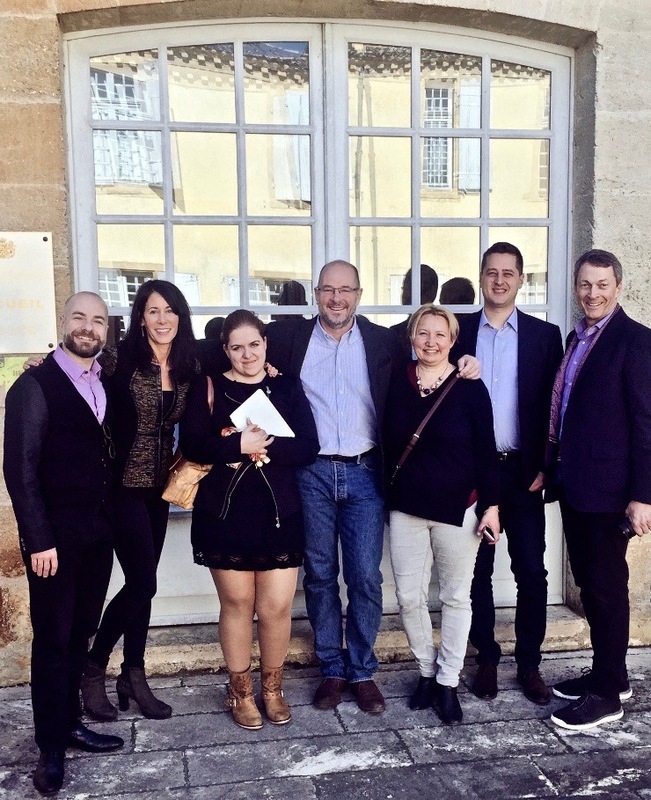 Read more about Millésima and the Blog Awards in my interview with Fabrice Bernard, CEO of Millésima, on GrapeCollective.com. 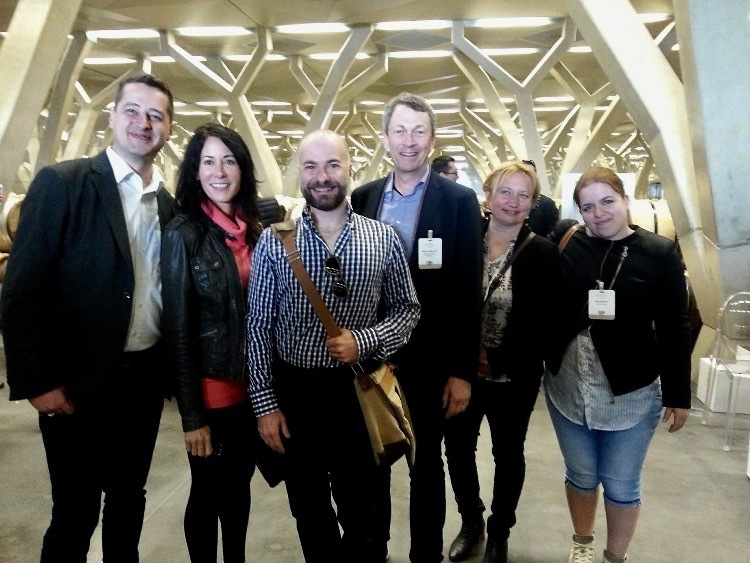 And remember, you could be a part of the next group of MBA ambassadors! 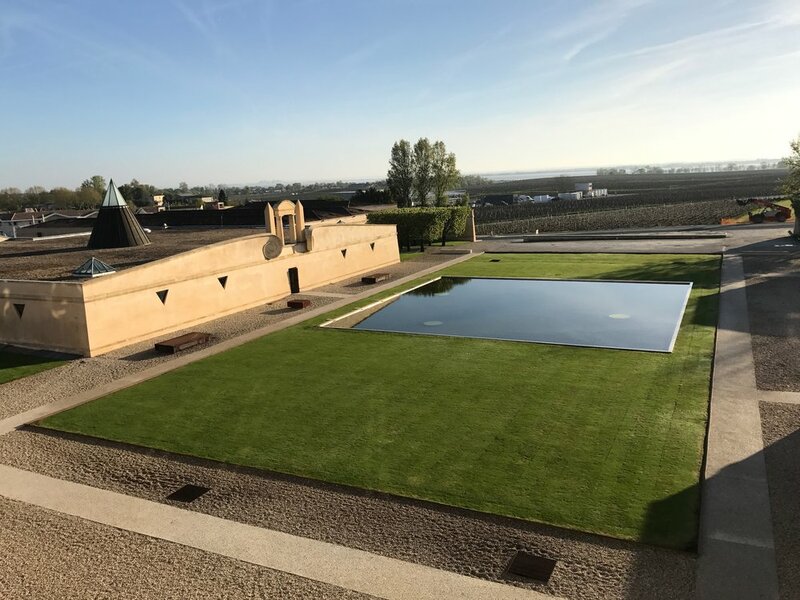 Read more about my adventures in Bordeaux by clicking here and my lunch at Château Margaux by clicking here.